No site is 100% hack-proof. No matter how much you spend on your security team, there are hackers out there who can find holes in your security system. Most small business owners and bloggers do not have enough money to get their own security team in place. But they are not defenseless against hackers. Adding a firewall to WordPress can keep inexperienced hackers out and protect your website against most obvious hack attacks. 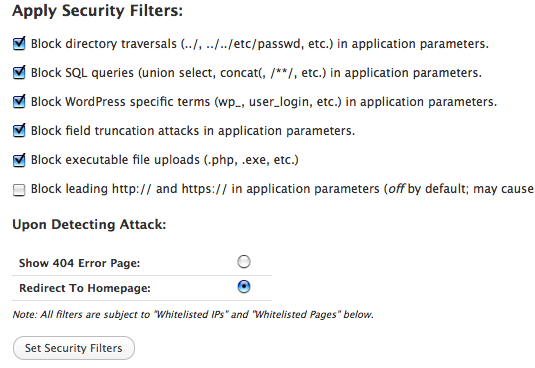 WordPress Firewall 2 is a powerful security plugin that does just that. WordPress Firewall acts very similar to regular firewalls. It investigates web requests coming your way to figure out whether there is something malicious about them. Some of these web requests may look harmless but they could end up damaging your website or your database. This plugin is capable of blocking SQL injection attacks. It also has the ability to keep your directories safe from hackers. There are some web server modules that are just as capable as protecting your website against attacks. But you have to be with a decent host to have them installed for you (in most cases). This plugin can blacklist terms and executable files to reduce the chances of your website getting messed with. You have the option to redirect request to your home page or a 404 page upon attacks. That could sometimes confuse inexperienced hackers and buy you some time. Find WordPress Firewall 2 too strong? 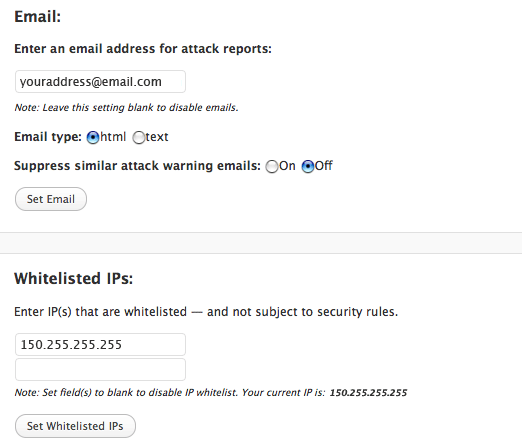 You can whitelist IPs that are important to your business. If you are worried about your website getting hacked and do not fully trust your web host with your server’s security, WordPress Firewall 2 is a decent firewall to consider.